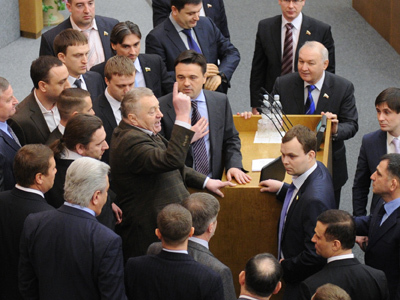 The State Duma session began with a scandal as presidential candidate, leader of LibDems Vladimir Zhirinovsky, emotionally voiced his disagreement with official data over the number of participants in Saturday’s protest rallies. 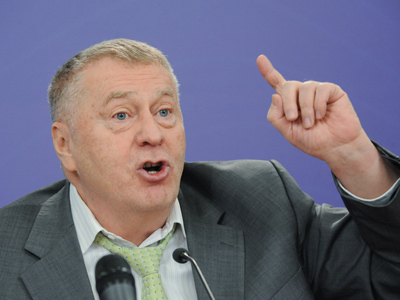 Zhirinovsky stated that 3,000 people took part in a meeting organized by the Liberal Democratic Party (LDPR) on February 4, while the police “understated” that number and reported of only a thousand participants. 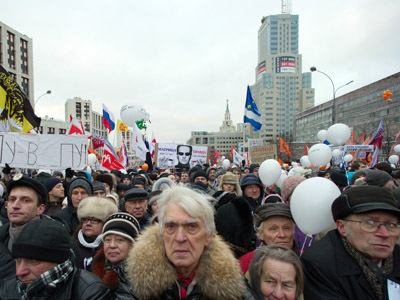 According to the presidential candidate, the same happened with the opposition protest rally “For Fair Elections”, which was held the same day on Moscow’s Bolotnaya (Swamp) Square. He believes official sources “understated several-fold” the true number of protesters. At the same time, Zhirinovsky pointed out, official sources exaggerated the popularity of a third Saturday meeting – the one held on Poklonnaya (Bow Down) Hill in support of candidate Vladimir Putin. “Poklonnaya means worshiping the Kremlin, and Bolotnaya is a swamp. And we can’t be with that swamp,” the politician concluded. Apparently for that reason, the LDPR did not join either of the meetings and staged their own rally on Pushkin Square in Moscow’s center. Deputies from opposing parties – indignant at such rhetoric – began bawling and stamping their feet. But that only added fuel to the fire. “Go on, stamp! That’s all you can do. Your slow thinking and inability to react promptly has already caused a revolution in the country,” Zhirinovsky commented. 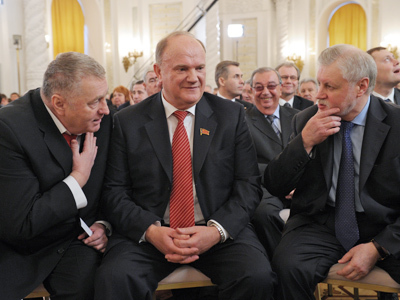 By that moment though his briefing time had run out and it was Andrey Vorobyov of the majority party’s turn to speak. 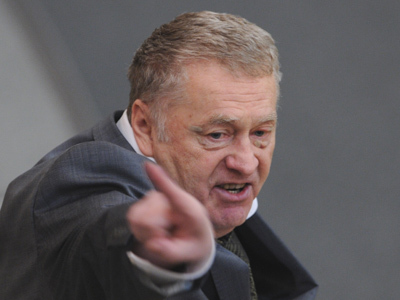 However, Zhirinovsky did not rush to leave the tribune. As his squabble with United Russia members was heating up, LDPR deputies left their seats and blocked the rostrum for several minutes, until Duma Speaker Sergey Naryshkin managed to calm the politicians down.